MK Shelly Yechimovich says she would fight "with all her might" a move to join Netanyahu's coalition. 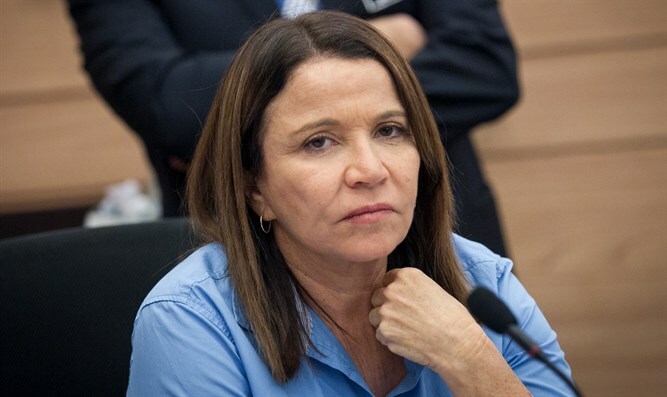 MK Shelly Yechimovich (Zionist Union) made clear on Saturday that if talks between Prime Minister Binyamin Netanyahu and the chairman of her party, Yitzhak Herzog, lead to her party joining the coalition, she would “fight the move with all my might,” as she put it. Yechimovich stressed that talks between Netanyahu and Herzog harm the party, saying, “The public does not believe us that we really want to present an alternative to Netanyahu because we keep knocking on the door [of his government]." She refused to personally attack Herzog but admitted that he has a strong desire to join the coalition. Yechimovich refused to say whether she would run for the leadership of the Labor party in primaries that will be held in ten months. "I still have not decided whether I will run for party leadership. I will decide to run only if and when I know what I will do the next day – which unions I can form,” she said. Her comments come following reports of renewed coalition talks between Likud and the Zionist Union. Herzog rejected the reports that talks took place over the Rosh Hashanah holiday, but also refused to commit to not entering Netanyahu's coalition.